Morisset, Pierre. "Plant Classification". The Canadian Encyclopedia, 14 December 2016, Historica Canada. 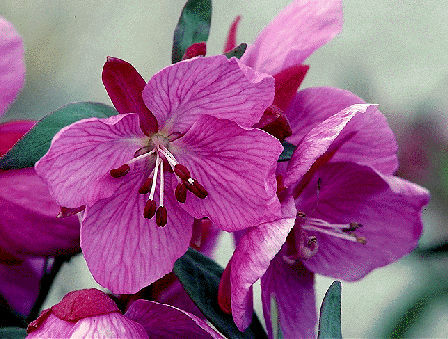 https://www.thecanadianencyclopedia.ca/en/article/plant-classification. Accessed 20 April 2019. Popular classification usually divides living beings into plants and animals and, sometimes, microbes. Scientific classification long followed a similar system, with 2 principal kingdoms: the animal order and the vegetable order. The dwarf willow (S. herbacea) extends the range of the willow to the High Arctic (Corel Professional Photos). 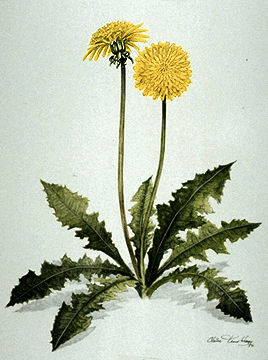 This European native has become a tenacious garden weed in Canada (artwork by Claire Tremblay). 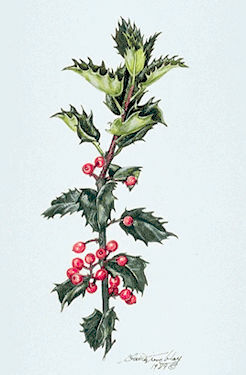 The name holly (from holy) suggests the plant's long association with folklore and religion (artwork by Claire Tremblay). 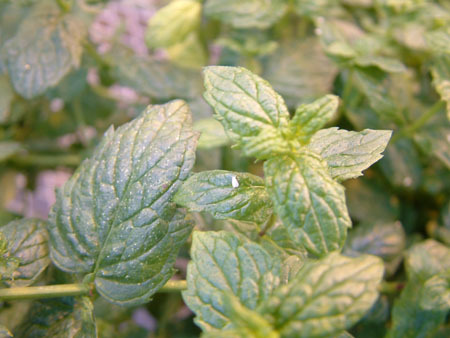 A common sight in greenhouses, whiteflies weaken mint plants by sucking their sap. Photo courtesy David Wees. 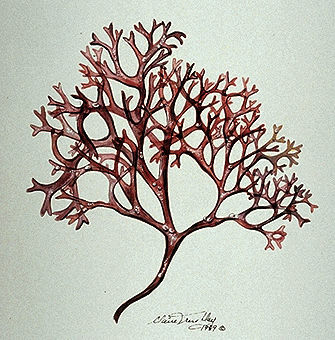 Irish moss is perennial and grows on rock in lower tidal and subtidal zones (artwork by Claire Tremblay). The growth of tomato plants inside the greenhouse. 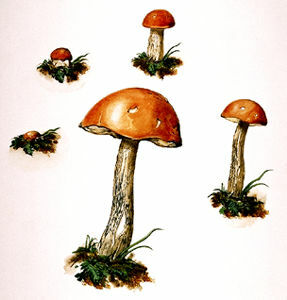 Mushrooms cannot produce their own food as green plants do. They must grow on dead matter or attack living trees (artwork by Jan Sovak, 1989). 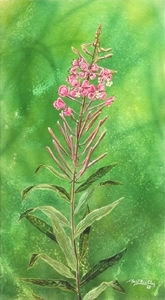 Fireweed gets its name from how quickly it propagates after a fire (artwork by Claire Tremblay). 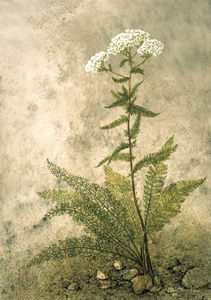 Also known as milfoil, yarrow is an aromatic perennial with underground stems (artwork by Claire Tremblay). 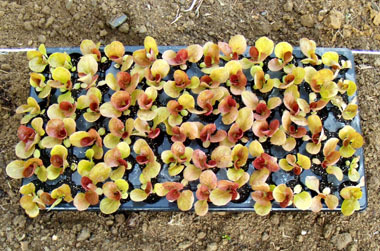 Popular classification usually divides living beings into plants and animals and, sometimes, microbes. Scientific classification long followed a similar system, with 2 principal kingdoms: the animal order and the vegetable order. 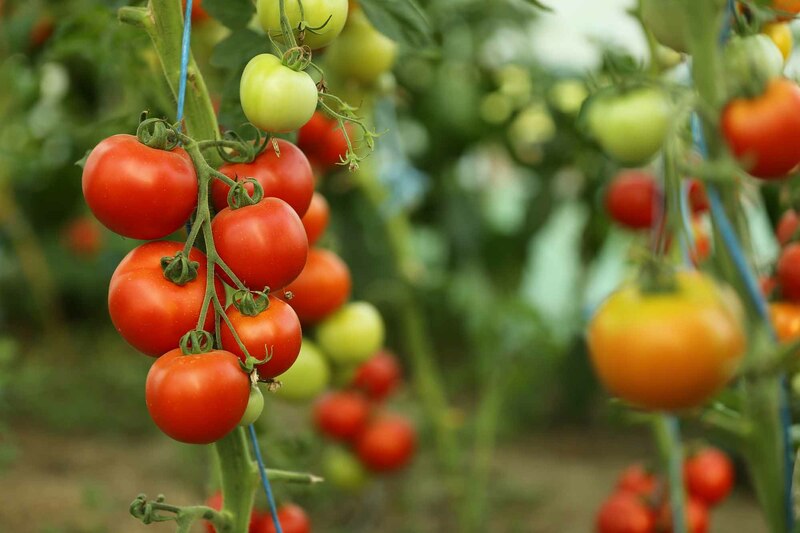 Plants and plantlike organisms (eg, fungi, algae) were those lacking complex sensory organs and organs of locomotion, and capable either of making their own food from inorganic elements or of absorbing it directly from the surrounding environment. This system is outdated; biologists now generally divide living beings into 5 kingdoms: Monera, Protista, Fungi, Plantae and Animalia. These kingdoms are themselves organized into super kingdoms: Prokaryota and Eukaryota. Prokaryotes are single-celled organisms lacking membrane-bound organelles (Monera); eukaryotes are composed of cells with membrane-bound nuclei (the other 4 kingdoms). Thus, true plants are multicellular and eukaryotic, contain pigments responsible for fixing light energy, have rigid cell walls and reproduce sexually. There are probably some 600 000 species of plants and plantlike organisms, and a classification system is needed to give order to this diversity. Specialists in classification of living beings (systematists or taxonomists) have developed a hierarchical system to classify organisms into increasingly generalized groupings, according to common characteristics. The super kingdom is the most general grouping and is divided into increasingly narrow categories down to the species level. Species may be subdivided into subspecies, varieties and forms. The sugar maple is thus classified as follows: super kingdom - Eukaryota; kingdom - Plantae; division - Anthophyta; class - Magnoliopsida; subclass - Rosidae; order - Sapindales; family - Aceraceae; genus - Acer; species - Acer saccharum Marsh. The name of a species is always a binomial, giving the name of the genus (Acer) and a specific epithet (saccharum). The species designation is followed by the name, usually abbreviated, of the first person to name the species in question: for sugar maple, the American botanist Humphrey Marshall (1722-1801). Plant names obey a set of rules (eg, that scientific names be in Latin), which make up the International Code of Botanical Nomenclature. The classification of living beings is not fixed; it is modified and improved through research. Modern classification depends on data from chemistry, biochemistry, cytology, palaeontology, molecular biology, embryology, etc, as well as on traditional morphological and anatomical details, and attempts to build a system that reflects the evolutionary history and relationships of plants. See also entries under individual species: Biotechnology; Botany; Club-Moss; Moss; Mushrooms and Puffballs; Liverworts; Vegetation Regions. Lyman Benson, Plant Classification (1979); H.J. Scoggan, The Flora of Canada, 4 vols (1978).